Pastor Kenneth W. Hagin, senior pastor of Rhema Bible Church since its inception in October 1985, has been in ministry for over 50 years. On Sunday mornings and Wednesday evenings, he often shares his personal motto, “I cannot be defeated, and I will not quit,” and tries to impart that attitude into his congregation. Pastor Hagin wants members of his church to be successful in every area of life . . . spiritually, physically, emotionally, and financially. His messages, frequently laced with Texas colloquialisms, range from practical teaching to inspirational preaching. He often ministers with a strong healing anointing, and his ministry helps lead believers into a deeper relationship with their Heavenly Father. Kenneth W. Hagin’s array of responsibilities also includes International Director of Rhema Ministerial Association International. 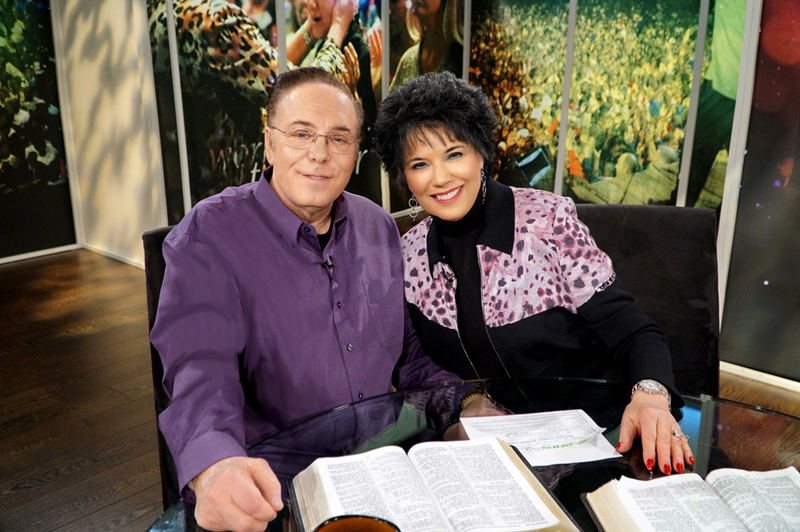 With his wife, Lynette, he co-hosts Rhema for Today, a weekday radio program broadcast throughout the United States, and Rhema Praise, a weekly television broadcast. They also conduct Living Faith Crusades, spreading the message of faith and healing around the world. for Meetings in Your Area!